Following last week’s drubbing of Region 4-5A opponent Walker Valley, the Eagles will fly to McMinn County to face Coach Bo Cagle and his mighty Cherokees. 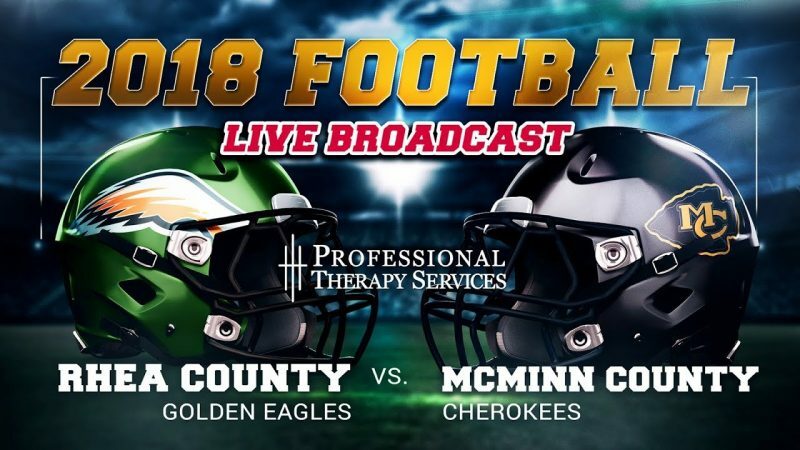 The Eagles enter the contest with a record of 2-0 while McMinn County stands at 1-2. The Cherokees won their season opener against cross-county rival McMinn Central, but have since dropped two straight to 6A foes Maryville and Farragut. On offense, the Cherokees are led at the running back spot by sophomore Noah Brown (#20), junior Jalen Sharp (#1), and senior Cam Johnson (#2) with Nelan Evans (#3) contributing at wide receiver and sophomore Will Harris pitching in as the starting quarterback. After years of running the Wing-T, the Cherokees have switched to a more open spread look that can be run from both shotgun and under center. Defensively, expect to see Jalen Sharp line up at linebacker with Cam Johnson and Noah Brown helping out at defensive back. Keep an eye out for senior defensive tackle Christian Hughes (#57). McMinn County and Rhea County have met a total of 37 times with the Eagles holding serve in the series at 19-18. In a rivalry that has always been this close, anything can happen. Last season, as many remember, the Eagles hosted the scrappy team from Athens looking for a big win. However, the ‘Kees stayed in it until the very end, dropping the contest to the Eagles 20-21 in overtime. The Cherokees will no doubt be looking for revenge when they host Rhea County for the first time in three years. The last game at McMinn saw the Eagles leave with the win in their first game since losing to the Cherokees in 2012. The Eagles have won three straight matchups, and I believe that they make it four straight. See you there, Eagle Nation!